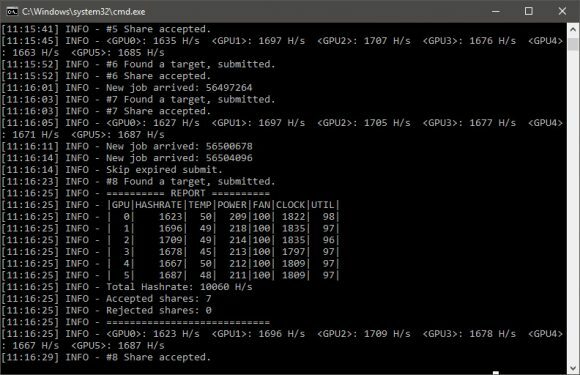 The latest version 6.0 of the NebuTech BTMiner Nvidia GPU miner for mining Bytom (BTM) is available with some interesting and useful improvements along with a slight performance increase, so you might want to check it out and update if you are using an older version. Among the new features probably the most useful one for most people is the additional GPU status report giving you information about power usage, fan speed, core clock, core utilization. 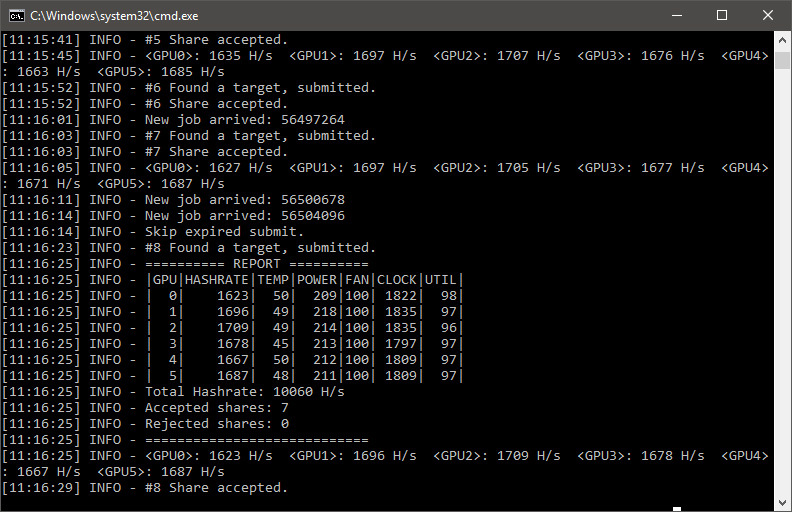 As far as performance improvements go, there is a slight bump in the hashrate with about 2-3% on some mining rigs (depending on the type of GPUs you have), we are seeing a bit of improvement on a GTX 1080 Ti mining rig. – Add API for status query. – Add dummy web monitor. – Low-level parameter adjustment, improve 2-3% hashrate on some mining rigs. – Runtime check for number of corresponding responses for submits. – Improve console log format.